But what do you do when your favorite stock photo site starts to look a little, well, repetitive? When the well finally runs dry, is the only choice to pay for photography? Not so fast. There are plenty of websites out there that offer free, high-quality photos for your blog. I’ve picked out eight of my favorites — including a few that may be completely new to you – to help revitalize your blog content and give you some new options to choose from the next time you’re searching for that perfect photo. These photo sources are split into two groups: no attribution required and attribution required. Read on to see the list and a sampling of the photos you can find on each site! Why No Attribution vs Attribution? Before we get started, you may wonder why I’ve included both attribution and no attribution required sources. This is because no attribution images typically don’t have limits on where you use them, but they also don’t restrict how you use them, either. This means you can add them to header images, sidebar ads, icons, special graphics, infographics, etc., or customize them to fit a special project you’re working on. If you want to use an attribution required image, you have to give credit for it every time it appears… so if it shows up in a sidebar, a credit link needs to be your sidebar, too. Some attribution required images may also not allow you to edit them, either. That’s why it’s so beneficial to have free photo sources that don’t require a credit link and can be used as you like. Now that we’ve gotten that straightened out, let’s start the list! These free stock photo sites are listed as no attribution required, which means that you don’t have to add a source or credit link. If you’re feeling generous, you can absolutely give a nod to the original photographer or source website, but it’s not necessary. morgueFile certainly has a strange name, but once you pour through this website’s directory of more than 318,000 free, user-submitted photographs, you won’t think there’s anything strange about it! Started in 1996 by a then-college student named Michael Connors, morgueFile is now a collaborative effort between several individuals. 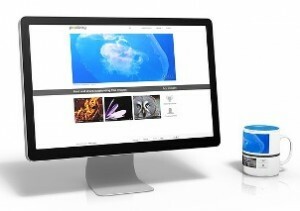 The site accepts photography submitted by individuals, and as you’ll see when you begin browsing, images are uploaded by users for free usage online. The quality tends to range from “okay” to excellent as a result, but I can’t say I’ve ever seen a bad photo on the site, thanks to morgueFile’s screening process. Here’s just a fraction of the wide range of user-submitted photographs I found when I searched morgueFile for “cats.” Some cute photos here! Whenever I find lists of stock photo sources, I’m always surprised by how many of them leave Pixabay off. Pixabay is by far my personal favorite source for free photos, and the first one I turn to when I’m looking for something specific. Pixabay has a knack for having that exact photo you need. The site is frequently updated (the homepage already doesn’t match the screenshot in this post! ), showing a great amount of care and attention paid to its photos. You’re restricted to downloading certain sizes (usually up to the biggest option) unless you create a free account, but it’s worth it if you want a super high resolution photograph for a landing page or blog post. To ensure I was keeping my tests on our free photo sources consistent, I used the same keyword here, too. Pixabay’s results for “cats” were fairly varied, ranging from professional photos to illustrations to what are probably user submissions. There’s a great amount of variety here, and you can’t beat completely free images with no attribution needed! Looking for high quality, modern photos of people, places, and things? Freerange Stock is a perfect choice. Like Pixabay, I’m surprised by how many lists this site doesn’t make. Freerange Stock doesn’t seem to require attribution on any of its photos. However, this site does require registration before downloading. It also requests that you leave a comment before saving individual photos… which can get old, and fast. However, there is still the option to download without commenting, if you scroll down far enough. Another potential problem: the search results for “cats” were cluttered with unrelated photos. I at least found this cute little guy hiding out on the second page. Lesson learned: Freerange Stock can be a great resource, but expect to spend more time using it than you would other sites. When you think of the phrase “stock photo,” you probably think of forced smiles, plain white backgrounds, and slightly dated electronics or clothing. Unsplash shatters that perception by offering ten high-quality, high-resolution photos every ten days… and they look nothing like the stock photos you’re probably used to. Unsplash has risen to popularity quickly, thanks to its gorgeous shots of scenery, people, and still life. They may be a little “artsy” for some bloggers or niches, but I tend to find one that’s worth saving for our blog or website in every batch or two. The biggest downside of Unsplash is that there is no search option. As a workaround, a developer has created a search tool that allows you to browse the current uploaded images by category. There’s an animals category, so we got at least one cat-related photo out of it. The best things in life may be free, but they may also require a little help from your friends. Some of the best free photo sources are “attribution required,” which means that you’ll be asked to link to the original photo source when it’s published on your blog. Some of these images (specifically those on Flickr) are released for free with attribution under a “Creative Commons” license. You can learn more about Creative Commons and how to properly credit images under these licenses on their website. freeimages, previously known as “stockxchng,” sports over 350,000 images that range from high quality photographs to illustrations to 3D renderings. One of the oldest and most reliable sources for free photos on the Internet, this site is right to call itself a “leading source” of free photos. Not every image on freeimage requires attribution. Some of them are completely free to use with no attribution required. However, others do require a credit link. To be on the safe side, my suggestion is that you always use this site when you are able and prepared to provide attribution on your images, or have the time to spend looking for the ones that don’t need credit. As you might expect, freeimages passed the “cats” test with flying colors. While I expected more housecats, the quality is still very good. Note that the results below are only one of fifty pages of cat images! Need the best images you can get for free and don’t mind a little attribution? It’s time to turn to Flickr. Compfight and Photo Pin are two Flickr search engines that allow you to search for images specifically licensed for reuse under a Creative Commons license — which is to say, free with a credit link. There’s one downside to Photo Pin, specifically: the endless scrolling means you can sometimes accidentally spend much longer than you want looking at photos. If you’re in a hurry, start with Compfight, since you might feel more like you “have” to pick if the page doesn’t automatically load more choices. Our final recommendation for stock and free photos, the Wikimedia Commons currently has more than 22 million freely usable media files, including images, videos, and even audio files. As you might imagine, this makes it one of the most valuable sources for free images on the Internet. Although you’re not going to find artistic photographs or creative concept illustrations here, what the Commons is fantastic for is the ultra specific information, diagrams, and images you can’t find anywhere else. For example, if you’re writing about the geography of Africa, the Commons has some highly detailed maps. Or if you’re creating a post on the history of computer technology, you’ll certainly be able to find photographs of the people involved in said history. While the Wikimedia Commons isn’t my first choice for blog images, it’s gotten me out of a pinch more than a few times, and is absolutely worth keeping around for that strange request you can’t seem to fulfill elsewhere. Case in point: the search for “cats” gives you some highly specific options, like “cat tongues,” “cat noses,” and “cat ears.” Awwww. This wraps up my roundup of the eight best sources for free photos for your blog or content marketing. I hope you found a new site or two to try the next time you need a stock photo for your blog! Have any favorites of your own you’d like to recommend? Leave a comment with a link and we’ll check them out!